At CarMark Hawaii, we know there are many reasons someone in the Honolulu or Oahu area may want to sell a used vehicle, whether a car, pick-up truck, SUV, or van. Perhaps you are moving away from the islands, are in the military and being relocated, or just need the money more than you need the vehicle. 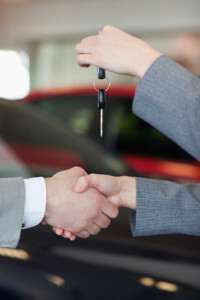 To us, it makes no difference why you are looking for a reputable company to buy your used car! That is YOUR business, we just make the process easy. We do have a few rules, but not many. Whether you have a Ford, Dodge, Chevrolet, Buick, Toyota, Nissan, Lexus, Cadillac, or other make of vehicle makes no difference. All we ask is that your vehicle is a 2007 or newer model, has 100,000 miles or less, and a straight frame. The title cannot be a salvage title. Other than that, there are no rules! You make an appointment with us, bring your used vehicle in, and we give you cash. You can fill out the appraisal form on our website in order to get an accurate up-front purchase price so that you have some idea what your car is worth before you come in. We know how difficult it is to find someone who’s an honest used car buyer in Honolulu, but you can trust our team. We’ve been around for more than 20 years, and enjoy a good reputation in the industry. If you have a free and clear title, we will give you cash for your car the same day you bring it in! We also pay off bank loans in many cases, so don’t let the fact that your car isn’t paid off deter you from coming to see us. If you’re looking for reputable used car buyers in Honolulu, give CarMark Hawaii a call today. We look forward to making a deal with you, so you can put at least one worry out of your mind.